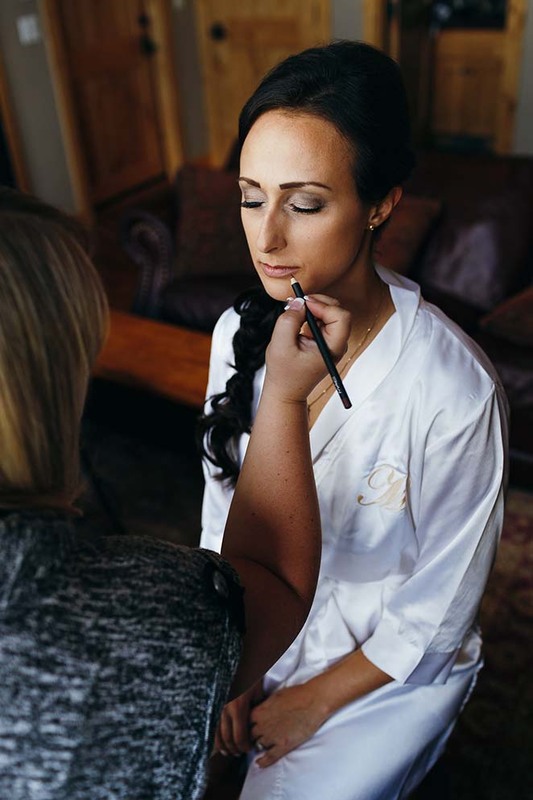 Hiring a professional makeup artist for your wedding would not only make your wedding day less stressful, but getting pampered helps you relax so that you can focus on walking down the aisle, and finally be married to the one you love! Here are my five tips for brides to keep in mind when hiring a professional makeup artist for your wedding day. 1. Examine Makeup Techniques: Your skills or a friend’s skills may be passable for an everyday makeup application or even a date, but a professional makeup artist comes armed with skills to ensure your makeup for your wedding will stay intact and fresh looking throughout the day and into the night. A true professional makeup artist has a keen eye for art. They view every client’s face as their blank canvas to create a beautiful masterpiece. They are equipped with the proper tools and knowledge to use the correct colors and techniques that are needed to bring out your best features for your wedding day. Many professionals have received advanced training in makeup education, having gone to reputable schools and continue to take classes to keep up with trends and techniques for clients. Professional makeup artists have a wealth of knowledge in face shape, color theory/analysis, and are also skilled in camouflage and cover up techniques to adequately conceal the flaws in your skin. Trying to apply a top quality makeup application that looks not only flawless in person, but in pictures as well is hard. This is where having a professional comes in handy. We’re there to help clam, pamper, and elevate your stress, leaving you looking effortlessly fresh and radiant. 2. Do A Trial Run: Some women may choose to go to a makeup counter for their bridal makeup because its cheaper, or may choose to have a friend do their makeup for their wedding day because its free. While in theory these options may sound great, the reality of it is, you never have the option of having a trial run through of what your makeup will look like the day of your wedding. So if you end up hating the way it turns out, you’re stuck with it. The bad thing with getting your makeup done at places like department stores or even places like Sephora or Ulta, is the majority of the personal working there aren’t real makeup artists, and are not trained in how to properly analyze and work on different face shapes and colors. They’re there only knowledgeable about store products and are there to sell store products. Being able to do a good makeup job on yourself is one thing, but being able to do it on someone else’s face shape or skin color is a totally different ball game. Having a trial run of your makeup for your wedding day is essential. A trial run is basically a preview of what you will look like on your wedding day. Most professionals will charge for a trial, being that they are spending their time, money, and supplies doing this makeup application. This is money well spent. 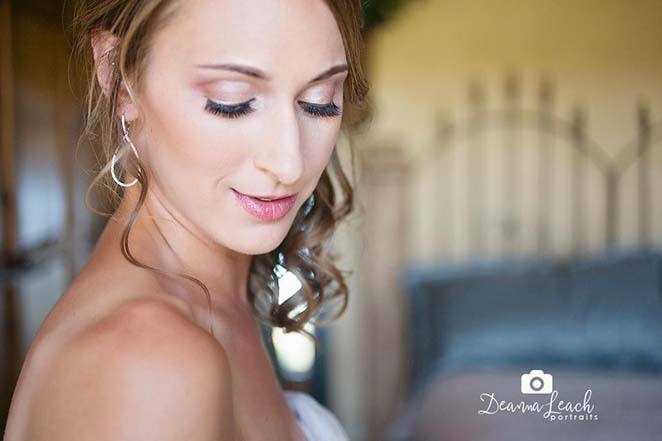 A professional will assess and analyze your face and personality to help determine how soft or bold you’d like your bridal makeup to be.If the makeup is not done to your liking for the trial, you have the time to communicate that with your makeup artist, in order to make the necessary changes right then and there, so that you can be given exactly what you are looking for. 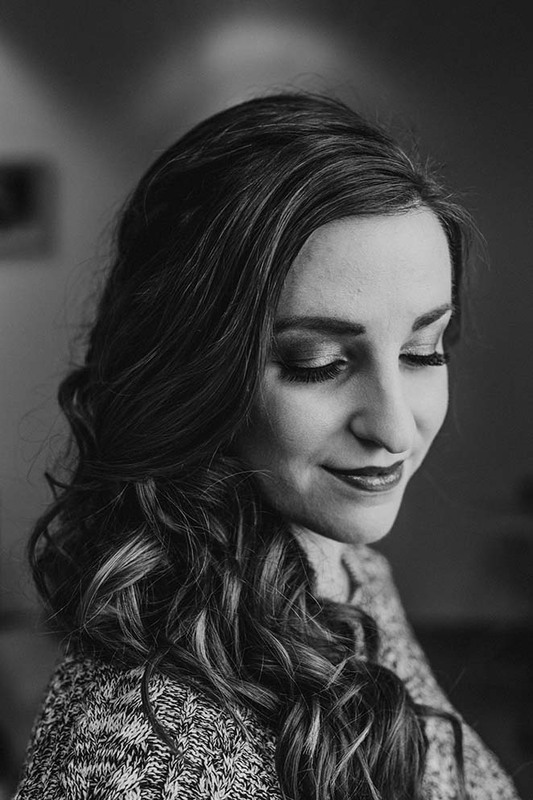 Trial runs help the makeup artist with timing themselves so that they can make a set schedule for you the day of the wedding, that coincides with the photographers schedule as well as your wedding coordinators. 3. Choose someone you click with AND whose work you love. The two most important things to remember when interested in hiring a makeup artist is to make sure you view their work in-depth, and to make sure you get along with them on a personal level.Viewing a makeup artist’s work and researching your makeup artist is so important. You want to make sure your makeup artist has a top quality portfolio. You want to make sure their work matches the quality of makeup you are expecting to receive for your wedding. Also, don’t be afraid to ask for references. Don’t be afraid to get personal. Ask for names, numbers, or emails that you check in with, and personally ask how that client liked their experience with this specific makeup artist. There is absolutely nothing wrong with checking to make sure you are making the best decision for you, for the most important day of your life. You will also be spending a significant amount of time with your makeup artist leading up to your wedding day, so it is super important that you get along with your makeup artist. 4. When you find the right one, BOOK THEM (and expect to sign a contract): When you find a professional whose work you not only love, but can also get along with on a personal level, it is vital for you to book them as soon as possible! Professionals tend to book up quickly (about a year in advance) especially during wedding season (March-September) so it’s really important to lock down your makeup artist as soon as you find the one that fits you best. Also, any professional working in the wedding industry is going to contract you; Makeup is no different. As makeup artists, we use contracts to protect and benefit you the client, as well as ourselves. Contracts help to keep everyone clear and on the same page in terms of expectations, and helps to provide ways of resolving conflicts that may occur. It also keeps the makeup artist from bailing on you last minute (which should never happen if you’re working with a true professional). 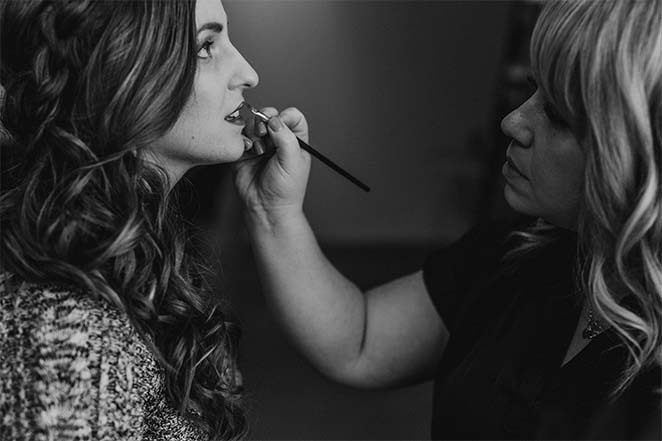 Like most wedding professionals, no dates are set aside for professional makeup artists until the contract is signed and returned, and deposit is received. If any professional you are interested in working with for your wedding or special event does not give you any contracts to look over and sign, that should raise some red flags and is something you probably should not move forward with. Also consider booking a makeup artist that is LICENSED and INSURED. The state of Oregon has a public data base where you can research if any makeup artist if correctly licensed. 5. Budget for the Investment. As I’ve stated before, a lot of women tend to not hire a professional makeup artist for their wedding day for various reasons. The number one reason I hear for not hiring a professional makeup artist is because “It is too expensive.” While it can be expensive, many people tend to forget the amount of money, time, and energy we put into our kits, our work, and education in order to do our job effectively and efficiently. When searching for a professional makeup artist for your wedding, expect to pay at least $400-$600 on bridal hair and makeup, not including travel. Being that we are often self-employed small businesses, we also have many things we have to factor into our prices like the cost of supplies, replenishing our kits after a job, travel, gas, time, expertise, insurance, taxes. Also being a professional makeup artist isn’t just a part-time gig or hobby for us. It is our full-time job. What we professionals do is so much more than just applying makeup to someone’s face. If it was that simple, everyone would be able to do their own makeup, and would be walking around looking flawless at all times. Long after the preparations are done, your vows are said, the first kiss as a married couple was had, and the celebrating is over, all you are going to be left with is your photos and the wonderful memories of your wedding day. Those pictures are going to be the only tangible thing that you will be able to look at with fondness. The decision to hire a professional makeup artist for your wedding day is an important one,and is completely up to you. But when all is said and done, having a professional with the proper skills, the right techniques, and tools can really help tie together the look and feel of your perfect day.